Sentai Filmworks has announced the acquisition of an original magical anime, FLIP FLAPPERS. FLIP FLAPPERS is an original anime produced by Studio 3Hz. Studio 3Hz has previously worked on shows such as Dimension W and Celestial Method. Cocona is a model honor student, cautious and slow to embrace new opportunities. This makes life complicated when a mysterious girl named Papika suddenly appears, fearlessly searching for a wish-granting crystal called the “Shard of Mimi.” When fates collide and they’re given the ability to transform into powerful fairy-like beings, where will the dangerous journey into “Pure Illusion” take them? The original series is directed by Kiyotaka Oshiyama. The chief animation director and character designer for the series is Takashi Kojima. TO-MAS SOUNDSIGHT FLUORESCENT FOREST will produce the music for the series. 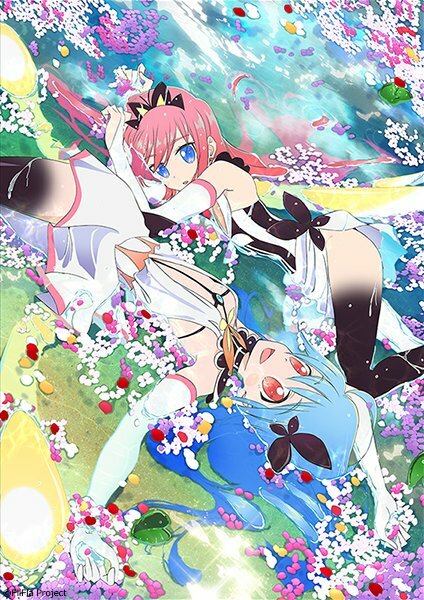 FLIP FLAPPERS is set to air in Japan in October 2016. It will be available on select digital outlets with a home video release set to follow. You can check out a couple of PVs for the show below. The last video is a commercial streamed for the series. If you’re interested in this series at all, you can check out the official Japanese website for the show HERE.